It's been over a week since the https://www.photographyshow.com now so time to have a quick look back on the visit I made on the Monday which was the busiest day as the weekend attendance was affected by the poor weather. I was a little apprehensive about the show as the recent http://swpp.co.uk show was very much a 'Wedding Album Suppliers' show. So even though this show at the NEC is a very different one I was hoping it wouldn't be full of album suppliers. As it it turned out it was the best show yet with a really good mix of suppliers with the big brands all present (which wasn't the case at the recent BVE show at Olympia which wasn't for me this year as it was aimed mainly at the broadcasting industry). My review is simply a snapshot of the areas that were of interest to me rather than a detailed review of every exhibitor. There were a number of things I wanted to look at this year, in particular they were based mainly around video rather than photography and one camera in particular the http://panasonic-lumix-dmc-gh5 GH5 (and GH5s) which has been receiving rave reviews for it's video capability. The mirrorless range of cameras is suddenly growing and making a bit of an impact on the DSLR as we know it. I also attended a talk on 'Audio for video' presented by https://www.photographyshow.com/speakers/jim-marks and Terry Hope; it turned out to be a light hearted and enjoyable talk and although it was mainly about audio they did have the GH5 and generally raved about it. The other things I wanted to look at were the https://www.dji.com stand and in particular the very small Spark https://www.dji.com/spark?site=brandsite&from=nav and the much larger https://www.dji.com/inspire-2?site=brandsite&from=nav I had a great chat with one of the guys on the stand who explained everything in detail. It was also good to see the dedicated DJI screens that make viewing much easier than using an iPad for drone flying, so I'll be looking to invest in one of those over the next few months. When it comes to photography I'm a http://www.nikon.com user, I've said this before and I'll say it again but in my view https://www.canon.co.uk/pro/ and Nikon and both very much the same in terms of quality. I am however having reservations with Nikon as my business also does a lot video primarily using the Canon C100 Mark ll; although Nikon cameras record video (and quite well), they don't have anything to compete with the Canon models; so when I renew my DSLR equipment in the next couple of years I may seriously have to move everything over to Canon. So for this reason I only spent two minutes on the Nikon stand as there was nothing new for me to look at; I did however spend quite some time on the Canon stand looking at their DSLR models and lenses. The two people I spoke to on the stand spent considerable time answering all my questions and considering how many people they see over four days I was pretty impressed by their enthusiasm. Taking about impulse purchases someone with me on the day purchased the https://theta360.com/uk/ view camera and what a buy that was; it's remarkable and if you're thinking about experimenting with this technology this is a really good starting point and quite affordable at under £200.00. Other than the Audio for Video talk I also sat in on another talk about video, this was by http://bloominglovelyfilms.co.uk and I have to say the young lady who presented this talk was excellent; she took it in her stride and gave some really useful tips and advice on those interested in offering wedding video. A little later in the afternoon we were invited over to the http://simimaging.co.uk stand for drinks at 3pm so it was good to catch up with Lily and Lee and have a beer whilst looking at their excellent product range, they seemed busy with plenty of people looking at their products. The https://www.wexphotovideo.com and https://www.cameraworld.co.uk stands had some really good offers and it was only when I left that I wish I'd purchased a Nikon wide angle lens and possibly the Panasonic GH5 as the deals were so good (I have since been back to the Web London store and purchased the GH5 which I'll be reviewing). Another product on my 'to look at' list was another http://eizocolour.com screen similar to the ones I already have but it seems as though they have a new range which was more than I wanted to spend, their screens are incredible and has changed the way both my photography and video projects now look so they are worth the money, however the CS range I currently have are more than good enough so it may be a case of finding anyone who still have a couple of those in stock. I paid a quick visit to the https://www.loxleycolour.com and https://www.gfsmithphotographic.com stands as they are regular suppliers and as usually they both had a wide range of products on display and apart form these two companied and Sim Imaging I didn't really look at any other wedding album or frame suppliers. https://www.theimagefile.com stand was busy so I didn't get an opportunity to talk to Richard, but there wasn't anything I really needed to know from them. The http://www.elinchrom.com stand was busy so I didn't get an opportunity toccata to them as I'm thinking about investing in some more new lights; in previous years they've heavily advertised some great show offers but I didn't see any leaflets this time around. A final stop at the https://luxs.biz stand, a company who provide backgrounds and support equipment who I've previously used, they offer an excellent service and so I managed to have a quick chat with Gareth as I may need some bespoke backgrounds making up for some shoots I have coming up later this year. One small item I did want to purchase but couldn't find anywhere this year was a card reader. A simple CF, XQD and SD reader. None of the main suppliers had bought any with them! 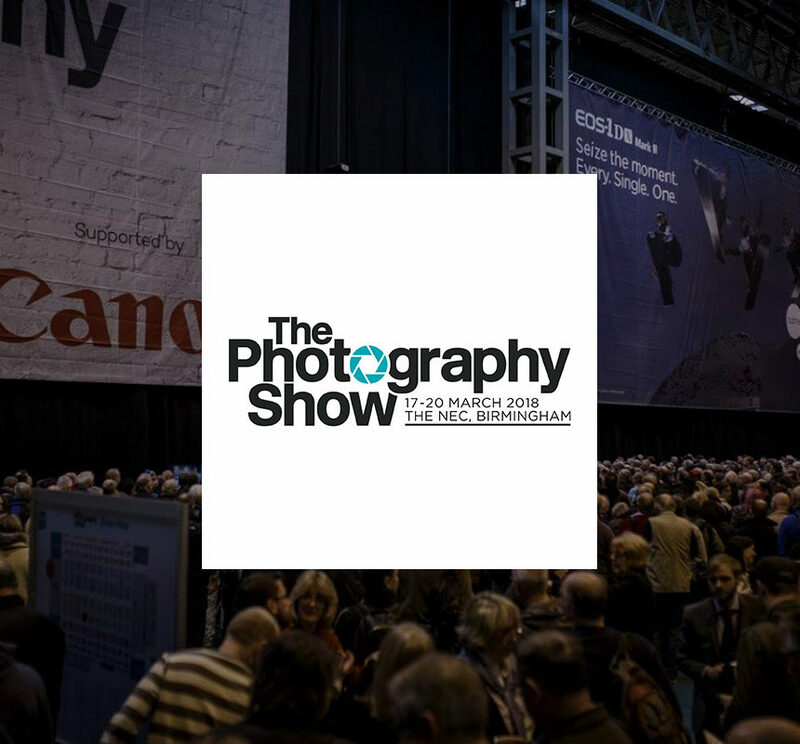 So that's my short review of the Photography Show, the best show yet which also showed the change happening in the photography industry right now and that's simply the huge increase in video.